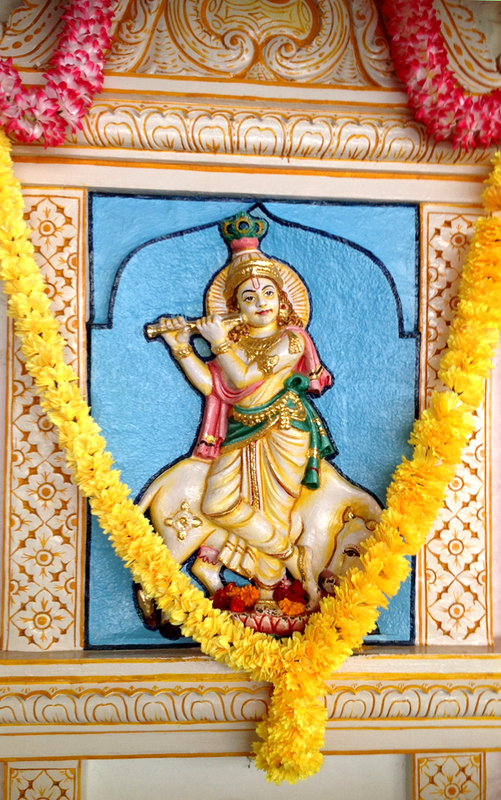 Bhagawan had declared that Lord Krishna’s advent took place at 3 a.m. on 20th July, 3228 B.C, the Ashtami Day (eighth day after full moon) under the star ‘Rohini’ in the dark fortnight. (Krishna Paksha) of Shravana Masa in the year named ‘Srimukha’. 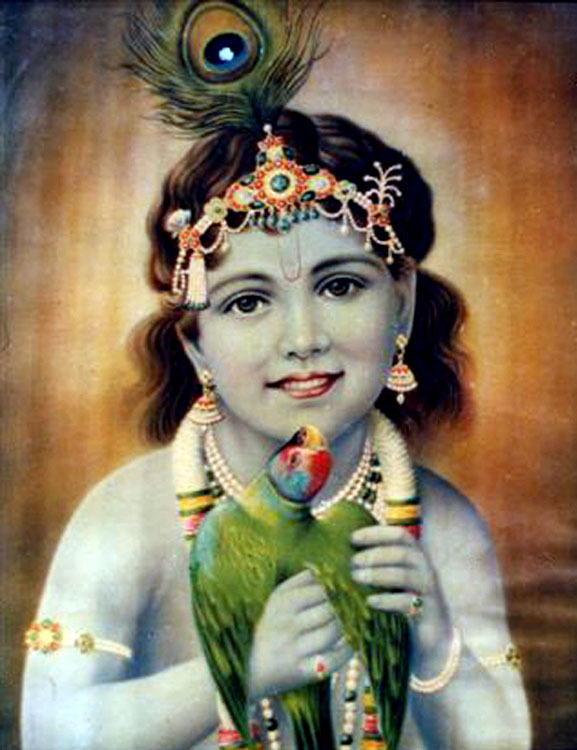 Even the smallest acts of Krishna were saturated with supreme sweetness. Krishna was everyone’s dearest kinsman and fastest comrade. The Leelas (Divine Sport) of Krishna are sweet and meaningful. All activities of Krishna were for the well being of the World. His advent was for the uplift of the world from wickedness and unrighteousness. It was also for fulfilling the needs of those who are devoted to Him, for the establishment of righteousness and the revival of the Vedas. Though people caught in the coils of ignorance see the Leelas as self-centered and even motivated by delusion, genuine devotees cherish each one of these as significant and sustaining examples of Grace. The Lord showers Grace on each and every one in such a way that suits the time, the person and their aspirations. – Bhagavatha Vahini, “Krishna Avatara” Chap 34. All the actions that you undertake must be sacred. There should be harmony in your thought, word and deed. The proper study of mankind is man. “Work is Worship”, “Duty is God”. This was the teaching of our ancient seers. Consider all activities as an offering to God and all work as God’s work. Just as two wings are essential for a bird to soar high in the sky, two wheels for a cycle to move, Prema (Love) and Seva (service) are essential for man to reach his destination. No benefit accrues from rendering service devoid of love. Do not expect any returns for your acts of service. The satisfaction which you derive from rendering service is itself a reward. 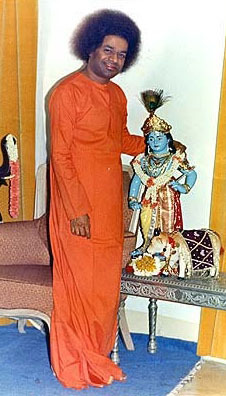 People merely say, “Krishna, Krishna,” as they go round or pass-by a temple. Of what value is such part-time devotion? They are mere name’s sake Bhaktas. You must strive to earn the great wealth of God’s love. God is omnipresent in all His attributes. One experiences this unity. Ramadasa also had this experience. Thaneesha put him in jail, but he never gave up the name of Rama. “O Rama! When all is your form, how can I be apart from you,”, he prayed. There are those who sit in Dhyana or meditative postures. But their minds are in the market or in hair dressing shop. Is this Dhyana or Japa? The mind should be immersed in Krishna. Instead it is filled with desires (Trishna). What is needed is Krishna not Trishna. Krishna will fulfil all your Trishnas. 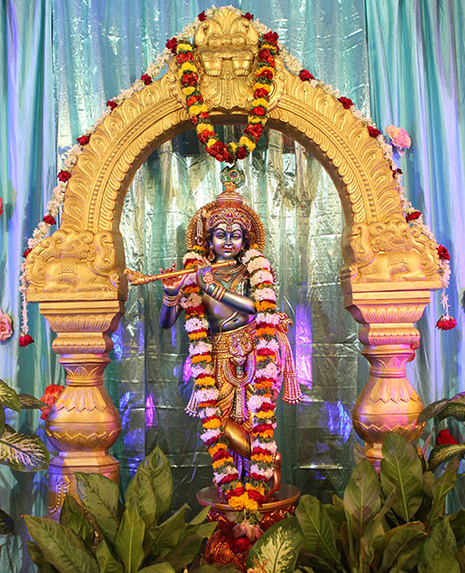 In chapter twelve Lord Krishna extols the glory of devotion to God. the qualities of the devotees who by performing their activities in this way become very dear to Him. Thus this chapter is entitled: The Path of Devotion. (1) “Krushathi-ithi Krishna” that is, “The One who ploughs is called Krishna.” The field here symbolizes the heart. The heart should be cleared of weeds (evil qualities). It should be filled with love. The seeds of the Lord’s name should be sown in it. Krishna is the one who inspires the devotee to do all this. (2) “Karshathi-ithi Krishna” that is, “The One who attracts is called Krishna.” Krishna has the supreme power of attraction. By His words, His sport, His music and all His actions, He attracts all people. This power of Divine attraction is present in everyone. Hence, everyone is potentially Krishna. (3) “Kushyathi-ithi Krishna” that is, “The One who imparts bliss is called Krishna.” Everyone seeks happiness. The Divine, who is the embodiment of happiness, is in you. God wants you to be happy, but you do not realize it. Try to recognize the source of bliss within you. It is not the true nature of man to be unhappy. When anyone is sad, people around him are concerned about him. You should always be happy, because you are the embodiment of the Atma. Never give way to worry. 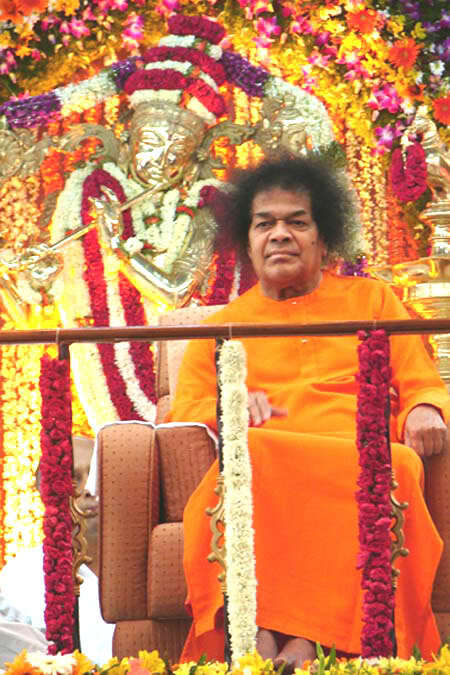 This entry was posted in Puttaparthi, Sai and tagged Krishna Janmashtami, Sai Krishna, Sathya Sai Baba. Bookmark the permalink.